– Out deposit, insurance and supply of materials. – Furniture, decoration, catering, sound: on estimate – no provider is imposed but we can help you in your choice. You want to organize a reception, a wedding, a seminar, a general assembly …? 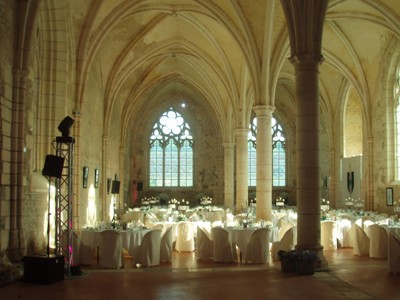 We offer an exceptional place in the heart of Burgundy, less than 200 km from Paris (10 km from the A6 motorway and direct access from the National 6). Adaptable to all types of reception (from 10 to 1000 people). For companies and event agencies, specific rates and benefits. The dining room of the eighteenth century stucco decoration: 60 m2 fully furnished, sleeps up to 30 people seated (on ground floor). 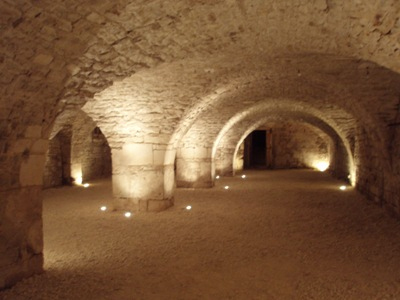 The cellar, restored in 2007 for Easter, built in the eighteenth century by the monks on the foundations of the old church of the XII century, offers 250m2 of surface. – The dining room of the eighteenth century stucco decoration: 60 m2 fully furnished, sleeps up to 30 people seated (on ground floor). – The cellar, restored in 2007 for Easter, built in the eighteenth century by the monks on the foundations of the old church of the XII century, offers 250m2 of surface. – A suite rooms and grand staircase: 150 m2 furnished for cocktail receptions and high-end, capacity up to 100 people standing (ground floor). – Meeting Room: 100 m2 (1st floor). 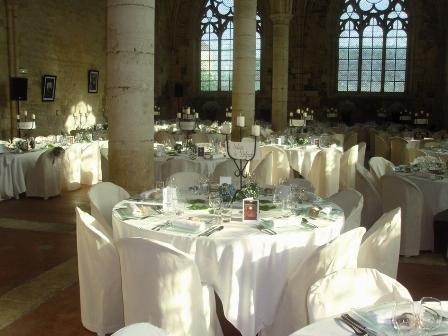 – The large and majestic monks’ refectory offers in a Gothic frame of the fourteenth century 400 m2 for up to 390 people. Self catering area. (ground floor). 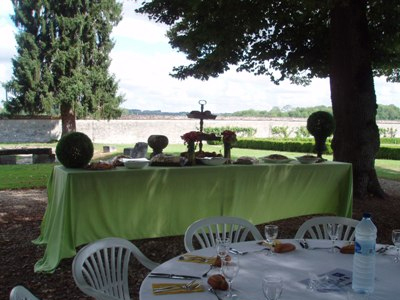 – You can have all the wall enclosed park (14 hectares) to organize your very large events. 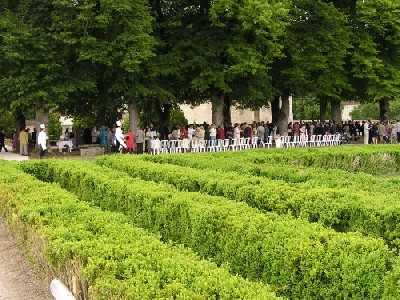 – Garden boxwood in French, green room under secular lime trees. – Implementation of any capacity tents for receptions up to a thousand people. – You have a big closed parking. – Monitoring of local ensured throughout your reception.